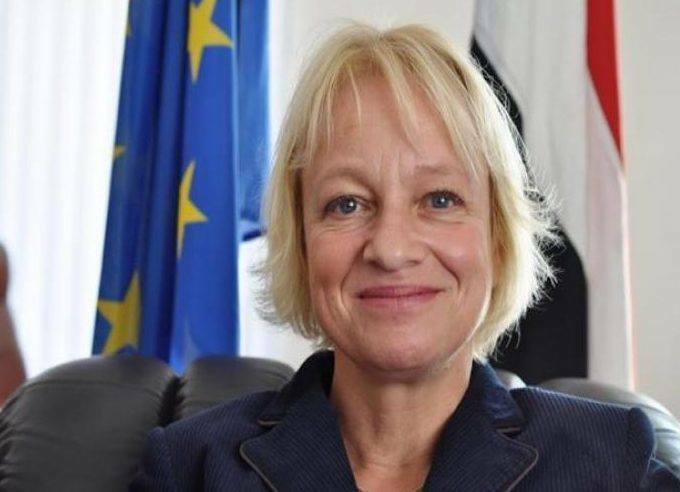 The head of the European Union’s mission to Yemen, Antonia Calvo Puerta, confirmed the European Union’s support for the political settlement of the crisis in Yemen. “The war must stop now,” she said. “As we celebrate International Women’s Day, Yemenis are still suffering from the ongoing war, which is about to enter its fourth year. Women are the most affected by this devastating conflict and continue to pay the most expensive price due to the ongoing war in all aspects of life,” said Antonia Calvo in a statement on International Women’s Day. She pointed out that the suffering of all Yemenis by the war is indescribable and unfortunately the focus on women and their rights has been largely neglected. The Head of the European Union Mission also affirmed the continued momentum of the Union in supporting the United Nations-led efforts to reach a stable political solution, one of the conditions for its success is including the empowerment of women. “The non-payment of salaries exacerbates suffering and poverty in Yemen because of its impact on basic sectors such as education and health care, which impede girls’ access to schools and women’s access to reproductive health services,” she said. Moreover, she pointed out that Yemeni women remain a strong contributor to the national economy, especially in the agricultural sector, despite all the challenges. The EU has increasingly focused on building the economic resilience of the rural population, which helps communities to access basic services and improve their living conditions. She also stressed that Yemeni women have proven throughout history that they are powerful agents of change and have the potential and skills to chart a brighter future for their country.